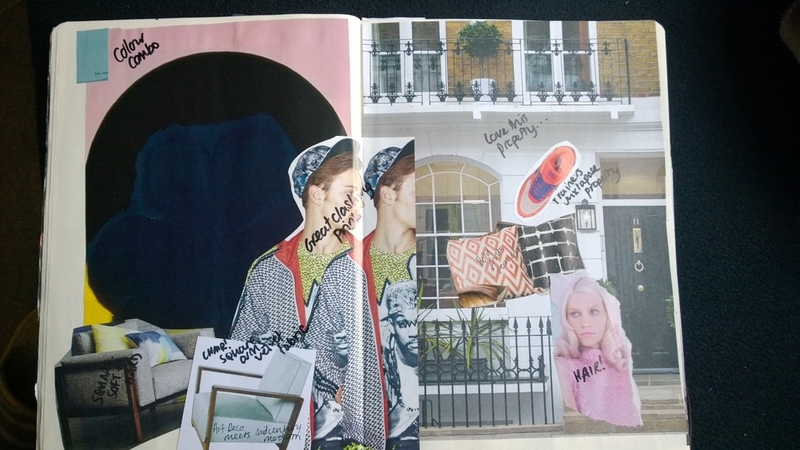 You may have seen that recently I started a diploma in Interior Design with KLC. It's an open learning course, meaning I work at my own pace in my own time. This is great for someone like me who has a full time job and family, so can work around that, but it also means that it's easy to slack when I'm tired or demotivated! Well, a huge weight was lifted off of my shoulders last week when I submitted the first 4 tasks to make up the first project of my diploma. It's not like it had been dragging on or anything, I mean, I only started 6 weeks ago, but it felt brilliant to finally press send! I had been going back and forth on each project and not really finishing each before I started the next one, so I had an array of half finished work here and there, which just felt like a big mess! Here's what I had to submit to make up the first project. This section was all about learning how to take a client brief. It may seem simple, but it actually requires a lot more time and attention than you'd think. It was a really great exercise in truly listening to a customers needs and not pushing your ideas across too early. Listening out for descriptive keywords was really important, and taking into consideration the clients lifestyle and needs for the space as well as style. This was the most explorative of the 4 exercises. 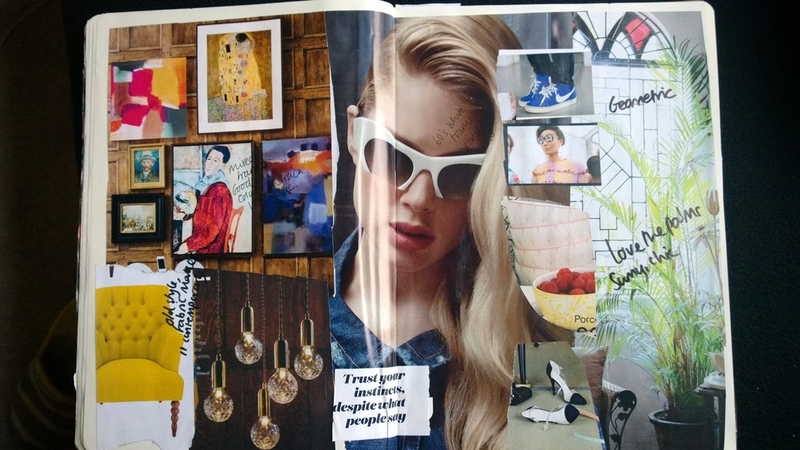 We were told to keep a style journal, adding images, sketches, fabric samples, quotes... anything that we found inspiring and related to our own personal style. I actually found this part pretty easy as I've been doing it for years without it really having a point, so I'd already got a huge selection of scrapbook pages to use. However, the hard part was having to annotate and describe why I had chosen certain images. It's not as easy as you'd think! I found it quite a journey to describe my choices. I won't go into too much detail, but I found films that I had watched as a child influenced me a lot, and the midcentury styling that I'd seen in both sets of grandparents houses when growing up showed up in there too. After working through and deciding which images would make up my final personal style board (with descriptions as to why they were / weren't included), I had to collage the images and create a final board. Here it is. Argh this was my least favourite of all. I did something stupid and ignored the list of required equipment and though I could get away with not using the drawing board or correct pens. WRONG! It made my life a lot harder. That, coupled with trying to work out a room to scale (I hate maths) meant I was in for a bit of a ride. The type of ride where you keep asking if you're there yet and end up puking on the back seat. Anyway, I got there in the end. First, I had to use the provided survey notes and sketches to draw up a plan to scale (that's the bird's eye view) and 4 elevations (thats as if you are looking at each wall) in pencil. Then once they are perfect, ink them, which means going over them in tracing paper and using a fineliner to draw them in ink. Then I had to copy 3 sets of the plan and do a few different furniture layouts based on a brief. That was a lot of fun and helped me see how much more creative you can be with furniture layouts when looking from a technical, birds eye view. 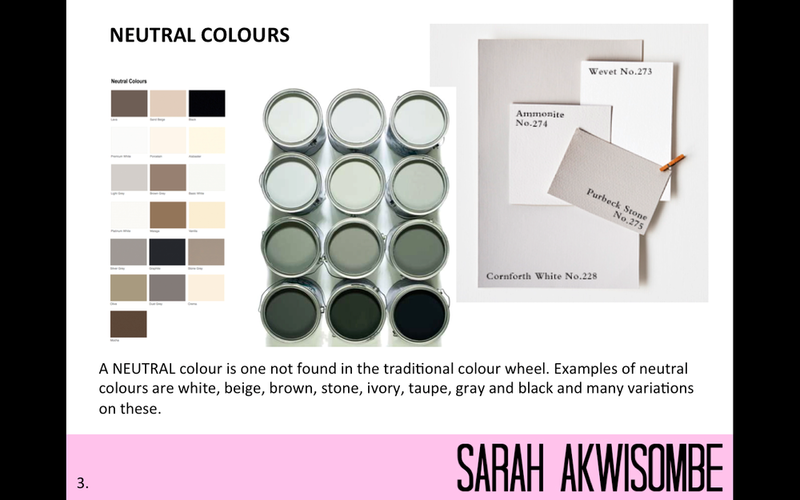 A large chunk of the reading for this first project was about colour theory. The typical learnings - primary, secondary, tertiary etc, were pretty straightforward, but also applying that to room design and how you can use colour to accentuate or minimise certain features was more advanced. That was interesting and definitely opened my eyes to using colour in a more technical way. Learning about the moods associated with colour and the science behind their impact on our emotions was also interesting. We were asked to put together a powerpoint presentation to show our new learnings using images to represent the situations we had been asked to present. This was a lot of fun and pretty easy to put together. I nearly forgot to add a cover page, contents list and bibliography which I learnt is VERY important! It's funny remembering what it's like to be 'back in school' so to speak. The weirdest little things make a difference, like whether you followed the exact instructions and labelled your work correctly. It's quite humbling really! Overall, from the first project I think the PRJ was my favourite part. I like the feeling of accomplishing something hard (technical drawings) but I'm a creative so of course scrapbooking and exploring my own personal style was most fun! Hopefully I'll get my first set of marks back soon and I can share the feedback with you. The first project marks don't actually count towards the final grade, but it was good practice to get into some kind of a routine and back into studying again. Considering I left school at 16, it's been a while! Are you studying at KLC? How have you found the diploma so far? 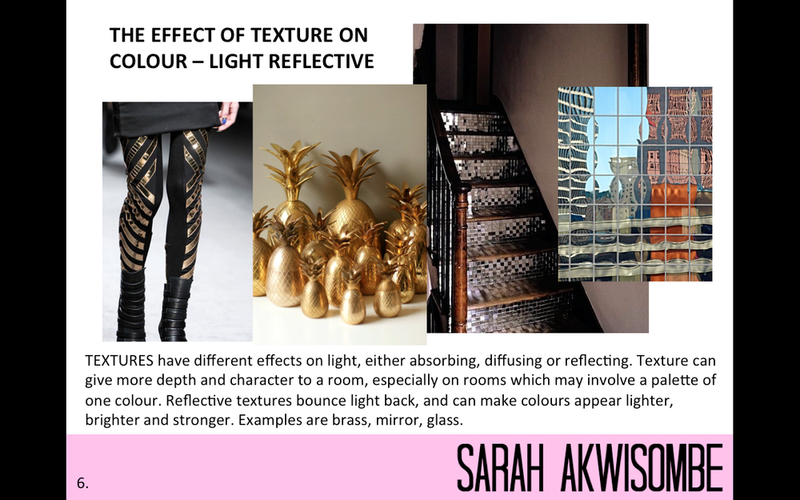 If not, have you ever thought about doing a course in interior design? I'd love to hear in the comments below!